If you took Devin Townsend’s flair for soaring, anthemic choruses and put that into a super-collider, before speeding it up and ramming it into the djenty-weight of Meshuggah and the riff-consciousness of Mastodon, and you might end up with something a little like Texture’s fifth studio album – Phenotype. The Dutch sextet (tee hee!) have been plying their trade for 13 odd years now, and as you’d expect from a band who’s been together for that length of time, Phenotype is unmistakable in that it only ever sounds like a Textures record. ‘Oceans Collide’ whips you away immediately, and is initially overwhelming, not exactly a track to ease you in gently if you’re unfamiliar with the bands’ sound. Frantic, stabbing riffs twist and condense, driven along by tribal drums and Daniel de Jongh’s rasping growl, which has him sounding like a slightly clearer John Tardy. A deep groove anchors you, a focal point among the dizzying, constant movement. ‘New Horizons’ is technically heavy, building tension with densely layered guitars that drip with both reverb and melody. ‘Shaping Of A Single Grain Of Sand’ is possessed of a burly, if slightly awkward, lumber that slips through satisfyingly ‘chuggy’ sections before raising a decent dual-guitar line that smells a little of Mastodon. ‘Meander’ shows off Stef Broks’ impressive drumkit chops, martial snares and galloping fills set among swelling synths. His fluid and shifting style is definitely one of the album’s stand out points. ‘The Fourth Prime’ is heavy with jangling chords and dreamy textures, a decent bouncy groove and some blazing guitar work. ‘Zman’ is a nice change of pace, a slower, slightly mournful piano-led instrumental. Closer ‘Timeless’ is far-reaching and epic, apocalyptic in its scope, slowly building before fading softly. 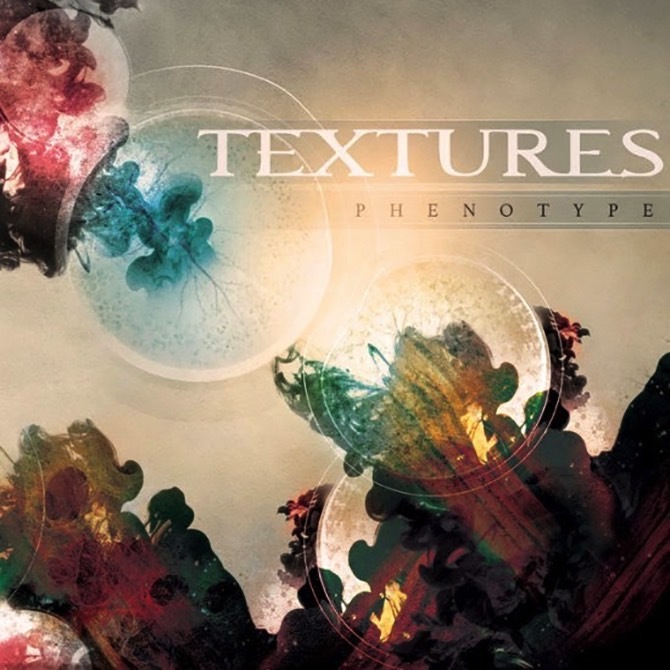 A slight refinement to their existing sound, rather than a complete overhaul, Phenotype is evidence that Textures craft purposeful songs that have the dynamic shifts between dense, technical chug and soaring, progressive highs down to an art. Not every track here does a great job of standing out from it’s peers or carrying across anything wholly original, but when they hit their stride, it’s solid stuff.